A comprehensive guide to the BioCeuticals practitioner-only product range. 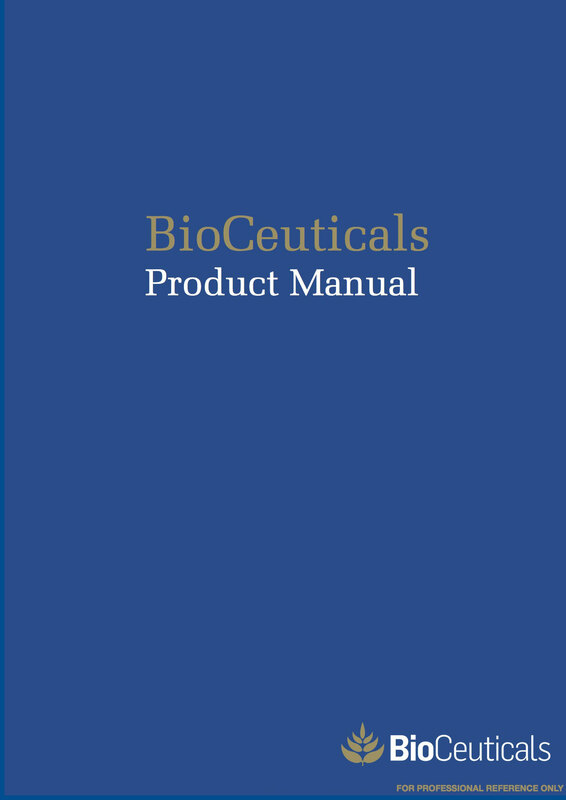 The BioCeuticals Product Manual features 130 product descriptions listed in alphabetical order, bringing you each supplement's key features and benefits, ingredients, dose, warnings and prescribing information. Additional educational information is provided for the key ingredients, as well as allergen and dietary information symbols for easy identification of dietary requirements, a Product Category list to help make conditional prescribing even simpler, and more.